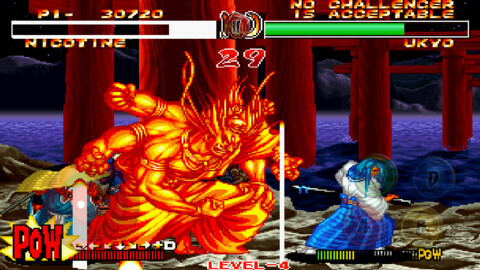 SNK Playmore's fighting game Samurai Shodown 2 has spread to mobile devices this weekend. It can be downloaded to Android or Apple smartphones and tablets for $8.99. 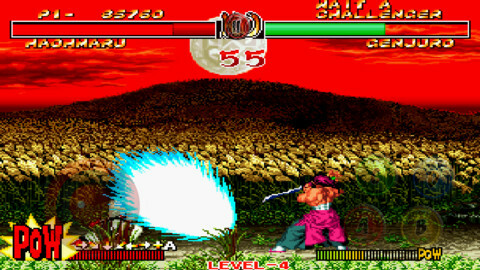 Showdown 2 is a fighting game based around swords. It improved upon its predecessor with new defensive manuevers like rolling and ducking. It also introduces parries, well-timed blocks that can throw an opponent off-balance and leave them open to a counter-attack. A new Rage gauge allows players to pull off super moves that cause massive damage. These attacks will also break their opponent's weapon, forcing them to fight unarmed for a few moments. 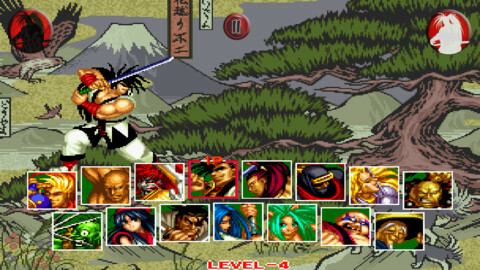 The sequel features all of the characters from the first game, such as Haohmaru and Nakoruru. This cast is accompanied by several additions, such as Prussian knight Neinhalt Sieger, the elderly monk Nicotine Caffeine and feral catgirl Cham Cham. Kuroko, the referee from the first game, is playable for the first time as well. 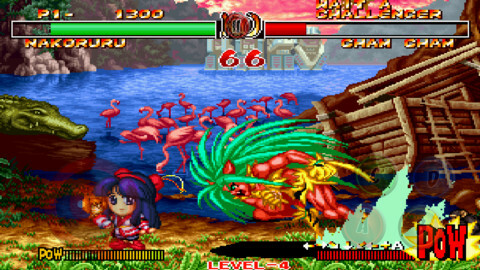 SS2 is considered one of the best fighting games ever produced by SNK. That's saying something, considering how many damn fighting games they've made. As a result, it's been ported to a wide range of platforms over the yeaes. If you're not a mobile gamer, you can download it through PlayStation Network, Wii Virtual Console and Xbox Live Arcade. It's also pre-loaded on the handheld Neo Geo X Gold. Of course, if you're not a mobile gamer, you're probably not reading this article in the first place. Point is, though, you've got plenty of options. 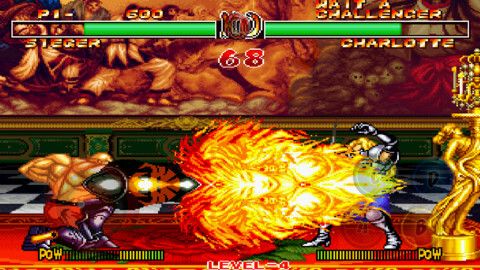 The mobile version of SS2 features Bluetooth multiplayer so you can duel against friends. The touchscreen controls can be customized to your liking. You can recreate the old school arcade experience with 4 virtual buttons, or opt for 6 buttons for more precise control. A casual mode allows you to pull off special moves with just one button. You can find the game on the App Store and Google Play now. You'll need iOS 4.3, Android 2.3.3, or a later version in order to run the game.